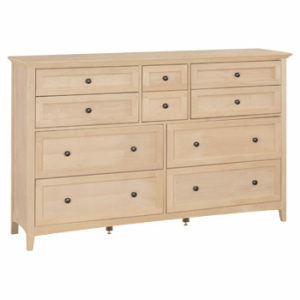 Model number 1112RGB Four Drawer Stonewood Nightstand by Whittier Wood Products. 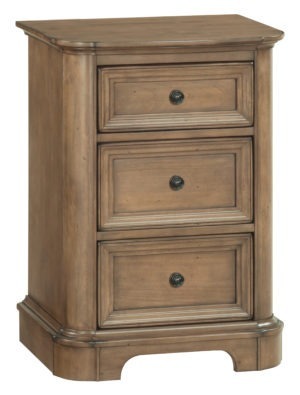 This solid alder hardwood nightstand will be the perfect addition to any room in your household. 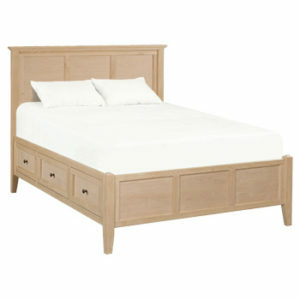 It comes fully assembled, with a rustic glazed brown finish. Beautifully framed drawer fronts complement the superbly made, solid wood English dovetail drawers which feature full extension metal ball bearing drawer slides. The final craftsman’s touch comes with the light and careful distressing and resilient multi-step finishing process to create a look of graceful, casual elegance. 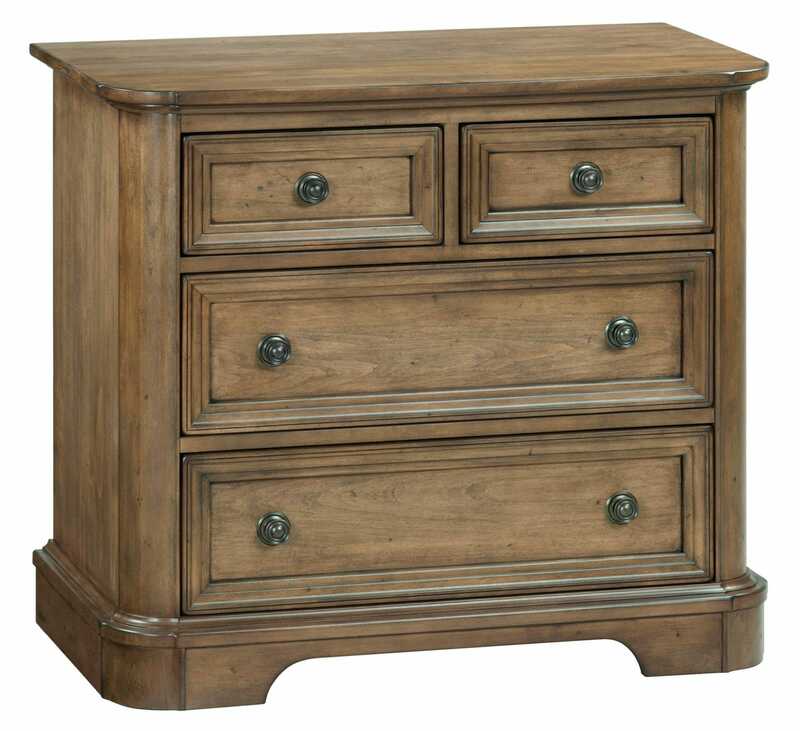 This wide nightstand looks great next to a king size bed. 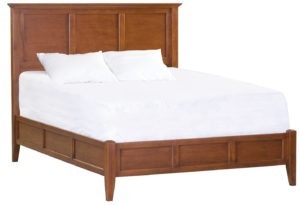 The scale of the stand matches perfectly with the wider bed.